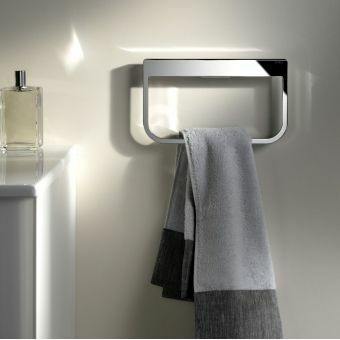 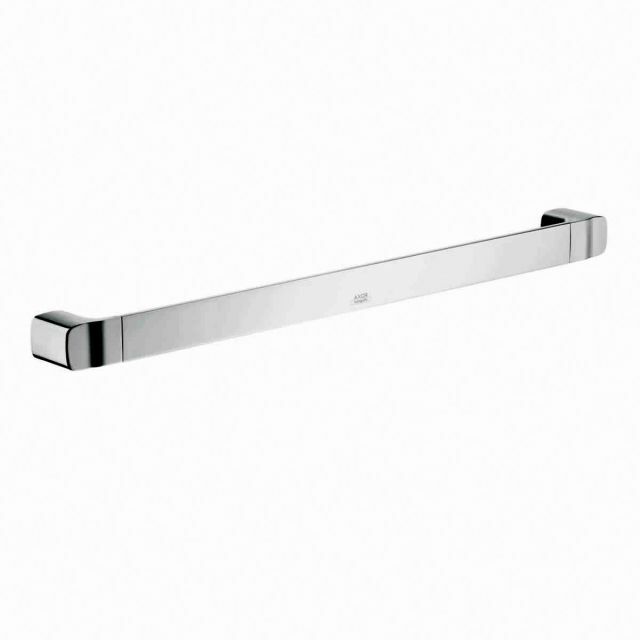 The AXOR Urquiola Towel Holder is supplied in a modern chrome finish to allow integration into almost any modern bathroom scenario. 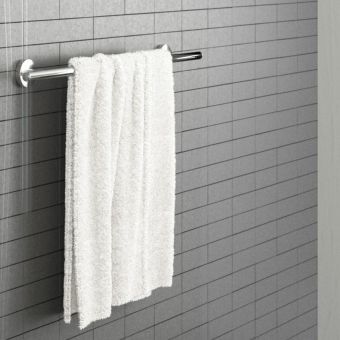 In addition, you have the choice of two different widths: 600mm for standard hand towels or 800mm for larger, fluffier towels. 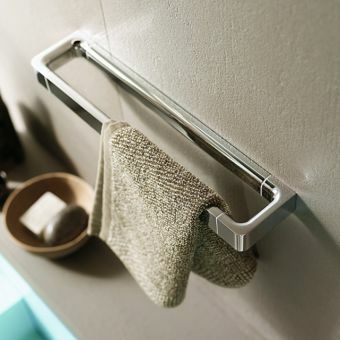 The holder offers a high degree of practical benefit with towels no longer living on the floor after use but instead, they can be hung up to dry ready for next time. 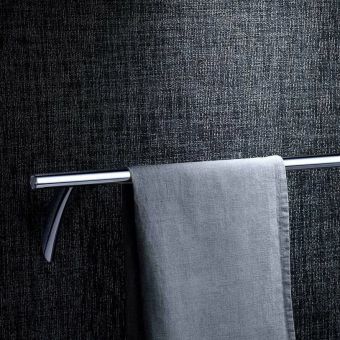 Quickly and easily fixed to the walls they are sturdy and reliable and have been designed to match all other Urquiola accessories by the renowned international bathroom designer Patricia Urquiola. 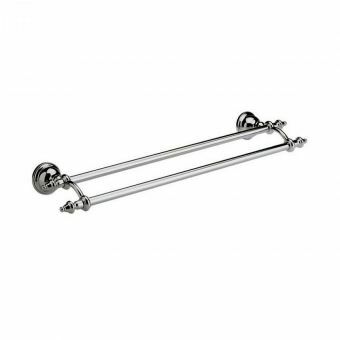 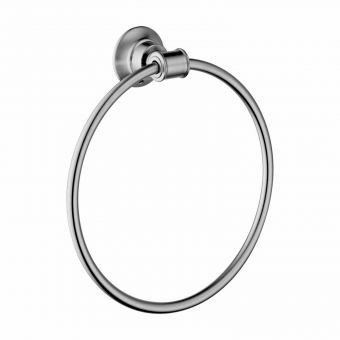 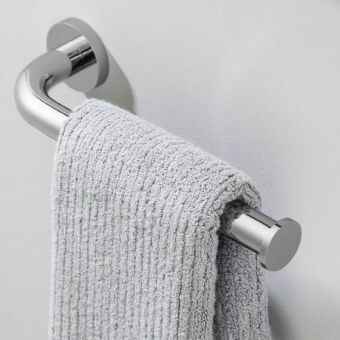 Totally up to date and sporting a smart rounded form, the towel holders are part of a premium designer range that offers unrivalled quality and an exacting attention to detail. 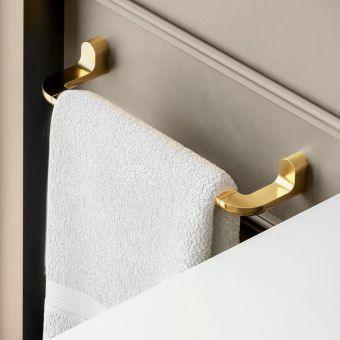 For a more bespoke look, optional finishes are available and with a five year guarantee, they can be enjoyed well into the future.